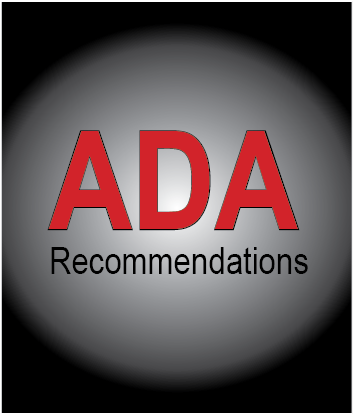 Health Care facilities have a variety of enviroments in which there are special needs for any given situation. Whether for low, medium, or high risk areas, health care facilities have to fill their hardware needs to provide for the safety of their staff & patients. Dugmore & Duncan can show you the hardware that can fill your needs. From access control to health care specialty hardware Dugmore & Duncan can help you choose the right product for any situation. Having issues with a fire door not up to code but do not need to replace the complete door and frame? Dugmore & Duncan can supply you with a variety of products to repair your doors. 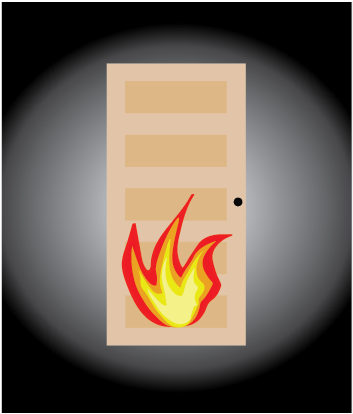 Please note repair of fire-rated doors is subject to approval by local fire & building code officials. Do not undertake repairs before consulting with the local fire marshall or AHJ. Please follow manufacturer instructions & test laboratory listing for all products. Health care facilities have a variety of enviroments in which they need special trim for any given situation. 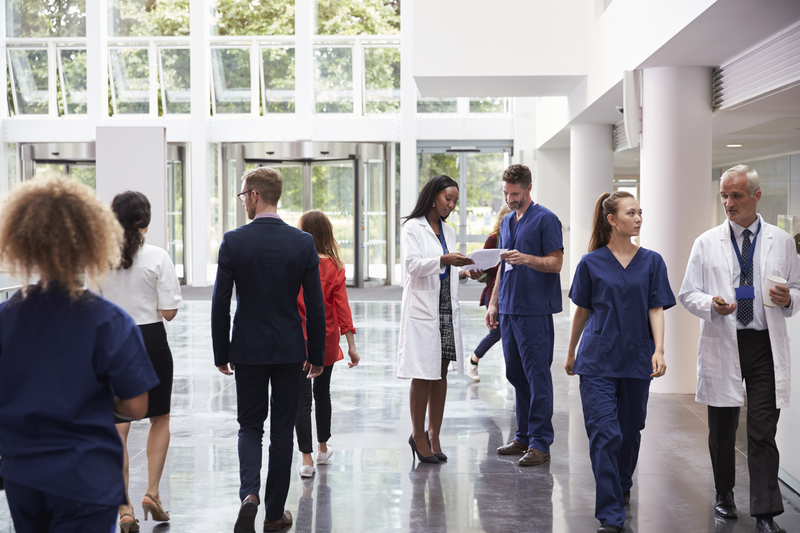 Whether for low, medium, or high risk areas, health care facilities have to fill their hardware needs to provide for the safety of their staff & patients. Dugmore & Duncan can show you special trims that can fill your needs. 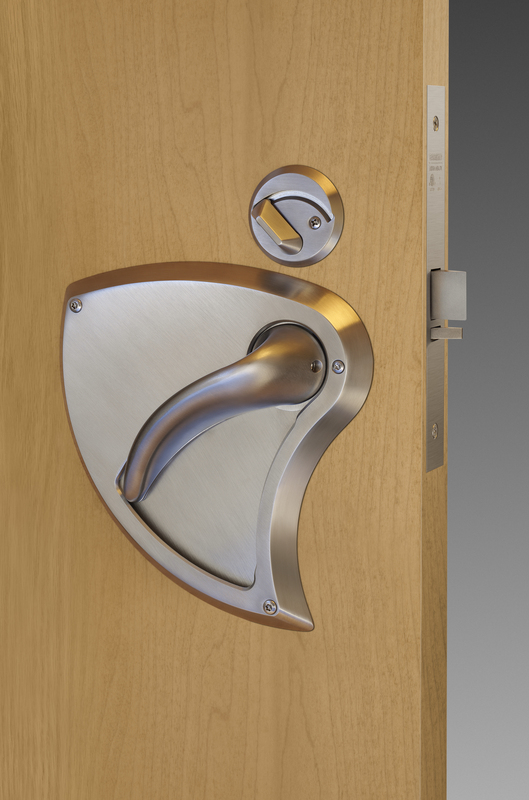 Between lever trim, push/pull trim, integrated low profile trim,& detention knob trim there are many options to choose from. Dugmore & Duncan can help you choose the right trim for any situation. Besides trim, there are also a variety of hardware products out there to choose from to provide for the safety of the staff & patients. 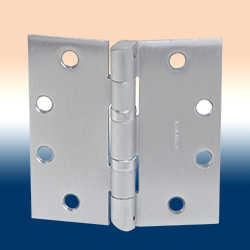 Hospital tipped hinges that can deter any person from hanging objects. Floor or concealed overhead door closers that are vandal resistant. Door closers are available for interior and/or exterior doors. Even little items like door & wall stops help prevents damage to the doors & walls of a facility, avoiding costly repairs. With such a variety of hardware out there, let Dugmore & Duncan help you figure out what you need & supply it to you.